It can be adapted to vehicles that meet the OBD standard of more than 90%. The network is disconnected and reconnected Network dropped calls can be automatically reconnected. parameter settings The IP address, port number, and APN settings are directly made to the terminal through the platform, and password protection is provided. 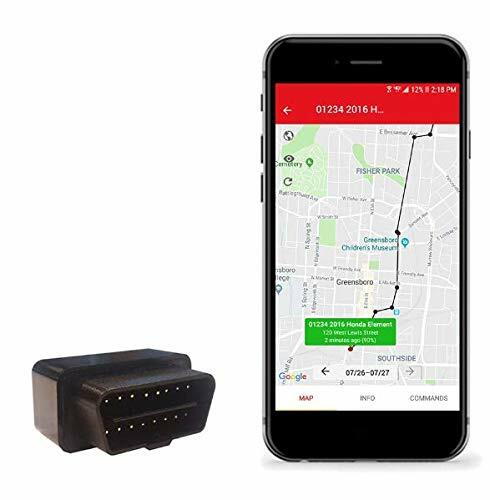 GPS Positioning data Includes latitude and longitude, time, satellite number, speed, direction, ACC status, battery voltage, OBD speed. Base station positioning function Contains network base station LAC and Cell ID information, carrier code. 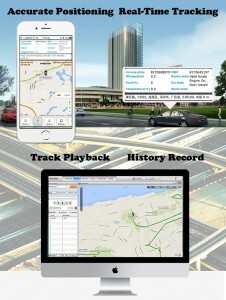 Intelligent track The terminal automatically judges the trajectory route, realizes the intelligent reporting of the GPS point, and realizes the trajectory butterfly shape effect. Report by time interval The monitoring platform sets the manner and frequency parameters of the transmitting terminal to return the positioning information. Reminder alarm function Ignition reminder The vehicle ignition reports the ignition alarm, including the alarm time and GPS information. Flame out reminder The vehicle is turned off and the fire alarm is reported, including the alarm time and GPS information. 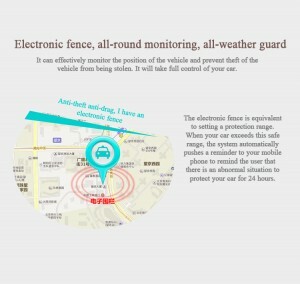 Vehicle low voltage alarm The vehicle voltage is lower than the settable voltage threshold, and the low voltage alarm is reported, including the alarm time and GPS information. Idle speed alarm The vehicle idling time exceeds the settable time threshold, and the idling time is too long, including the alarm time and GPS information. 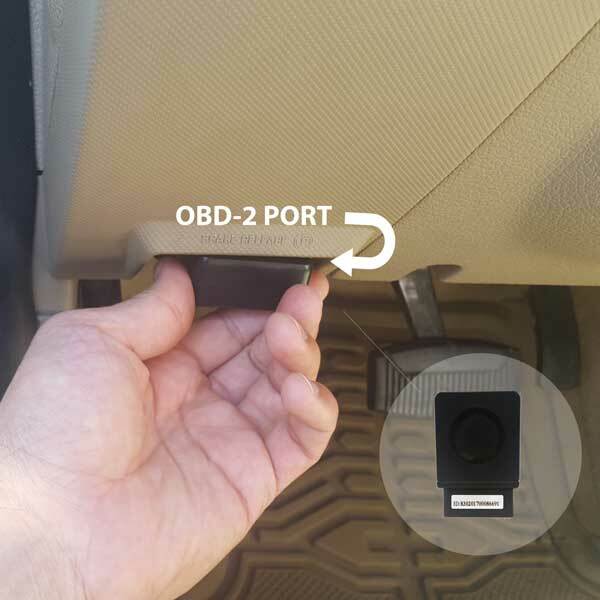 Water temperature alarm For vehicles that support OBD water temperature data, the water temperature exceeds the settable temperature threshold, and the water temperature alarm is reported, including the alarm time, GPS information, and the current water temperature value. Speed alarm The vehicle travel speed exceeds the settable speed threshold, and the over speed alarm is reported, including the alarm time and GPS information. 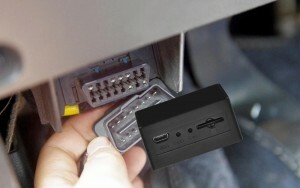 Collision alarm During the running of the vehicle, the acceleration is greater than the settable threshold. 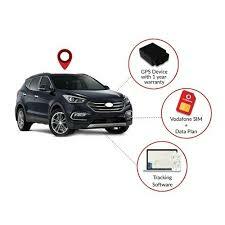 After the front and rear speed filtering, it is defined as a serious collision scene, and the collision alarm is reported, including the collision time, GPS information, and collision acceleration. Trailer alarm The vehicle is towed and reported to the trailer for warning, including trailer time and GPS information. Fatigue driving reminder The vehicle travels for too long and automatically recognizes the fatigue driving reminder. Device insertion alarm The terminal device is inserted and the alarm is reported. Device pull-out alarm (optional) The terminal device is pulled out, and the alarm is reported and pulled out (when the backup power is available). 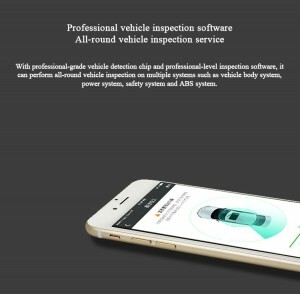 Long positioning time In the case of vehicle ignition, the positioning time exceeds the set time threshold, and the alarm time is too long, including the alarm time and GPS information. Driving behavior Driving behavior Including driving cycle start terminal time, driving cycle total mileage, average speed, maximum speed, overs peed duration, over speed times, idle duration, rapid acceleration, rapid deceleration, sharp turn information. Driving behavior event During the running of the vehicle, sudden acceleration, sudden deceleration, and sharp turn events are generated, and the incident is reported separately. OBD data function Vehicle data flow The vehicle’s critical data stream is typically reported every 30 seconds.The number of specific data items varies slightly depending on the vehicle data support. Reading vehicle failure The terminal identifies the vehicle fault information, and reports the platform when the vehicle fault state changes. 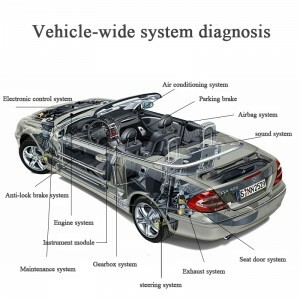 Clear vehicle breakdown Clear the vehicle fault by issuing instructions from the platform. Remote control management function Remote upgrade The terminal software can be remotely upgraded through the mobile network and upgraded through the FTP server. Remote restart The device is restarted by sending a command in the data channel mode. Remote query The platform remotely queries terminal information, vehicle type, GPRS communication parameters, heartbeat parameters, GPS/CAN return parameters, SIM card information, GPS information, CAN data stream, and current faults through the mobile network.Various alarm parameters, rapid acceleration and rapid deceleration sharp turn parameters. Remote setting The platform remotely sets terminal information, vehicle type, GPRS communication parameters, heartbeat parameters, GPS/CAN return parameters, clear vehicle faults, control restart, factory reset, clear blind zone data, various alarm parameters, and rapid acceleration and deceleration through the mobile network. Sharp turn parameters. Version report The version information is reported every time ACC ON.The platform checks the car version information by instruction. SIM card information reporting Each time ACC ON reports information such as the IMEI number of the SIM card.The platform checks information such as the IMEI number of the SIM card through instructions.